Spring time is here and that means tennis programs are beginning. Our resident pro Ryan Freeman is offering after school junior programs beginning the first week of April. Visit ryanfreemantennis.com to see all of the tennis offerings at Piney Creek. We are also bringing back Junior Team Tennis this year. Please reach out directly with any questions to ryan@ryanfreemantennis.com or by calling 240-731-3872 Private and group lessons are also available. We look forward to seeing you on the courts! Ting expects to have construction in the Glen completed by April 5th depending on weather. Construction will start in the Estates, Summit, Terrace, Hilltop, and Meadows around April 8th. Wiring from the boxes in the yards to homes wanting service will occur later and is dependent on the completion of a data center. The Association has learned that some residents have received a bill from Waste Management for recycling. If you receive an invoice from Waste Management, please contact the on-site manager at mgr@pineycreek.org or (303) 699.8069. There should be NO charges to Piney Creek homeowners for the regular trash or recycling services. You can safely ignore the invoice. The HOA hosted an online summer fun activities survey this past fall, we are excited to share with the association members the results. It seems we have a very active group, that enjoys our amenities. If you are interested in the results, you can download them via this PDF here . Piney Creek has two websites to serve our homeowners that offer our homeowners access to all the latest community information. They also allow the Association to send out communication to our membership. 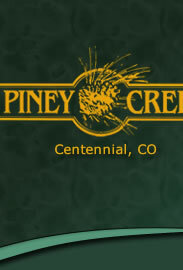 The Piney Creek website offers the latest news, amenity information and access to many of the Association documents. Westwind Management also provides our homeowners additional information, access to our latest documents, your payment history and covenant enforcement matters are just a few. A document has been created to answer questions regarding the protective covenants and approvable roof materials. The roofing products listed below are being added to the list of Approvable Roofing Materials. The revised document can be found here. 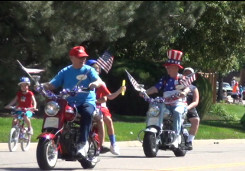 Video of the annual Piney Creek July 4th parade is available on Youtube. All exterior repairs, short of fence stain require ACC approval. This includes roofs, skylights, gutters, and paint. Effective July 1, 2018, trash service for the Overlook will be provided by Waste Management through the Piney Creek Maintenance Association. Your trash day will change to Monday. Your first date of service will be Monday, July 2, 2018. For more information including how to get carts, and the recycling schedule click here. The Piney Creek Fence Stain sheet has been updated to reflect that Kwal Paints was acquired by Sherwin-Williams. The HOA worked with Sherwin-Williams to match the approved colors. Also, a new Sherwin-Williams store has recently opened nearby. The store is on Smoky Hill Rd, east of Buckley, in the vacated bank building between Discount Tire and Walgreens. This store has agreed to offer Piney Creek residents a 10% discount on fence stain. Home Depot also offers residents a minimum discount of 10% on many Behr paint and stain products. See the updated sheet for details. Home Depot typically will have 30% off Behr products before Memorial Day, and again late summer / early fall. The Architectural Control Committee has created a new application this year, specifically for painting. This is the third such application for the community, as there is also an application specifically for roofing, as well as a general application for all other submittals. Please be sure you are submitting the correct application for your desired home improvement. Recently, the ACC made some decisions regarding allowable colors of garage doors, of which everyone should be aware. The ACC believes that these decisions/clarifications detailed below will benefit the community as a whole by maintaining the intended appearance and harmony of the community, and the intended color schemes for the style of homes in the community, and continuing to protect property values within the community. As part of recent contract negotiations with Waste Management, the Piney Creek Maintenance Association is now able to provide toters to homeowners at no charge. Homeowners have the option to use their own trash receptacles, or request a trash toter, recycling toter or both. The Architectural Control Committee (ACC) would like to remind residents that ALL NEW ROOFS MUST BE APPROVED PRIOR TO INSTALLATION and must use material approved by the ACC. Installation of material not approved by the ACC will result in a demand to reroof with approved material and may result in legal action. Click below for tips on selecting a roofing contractor.